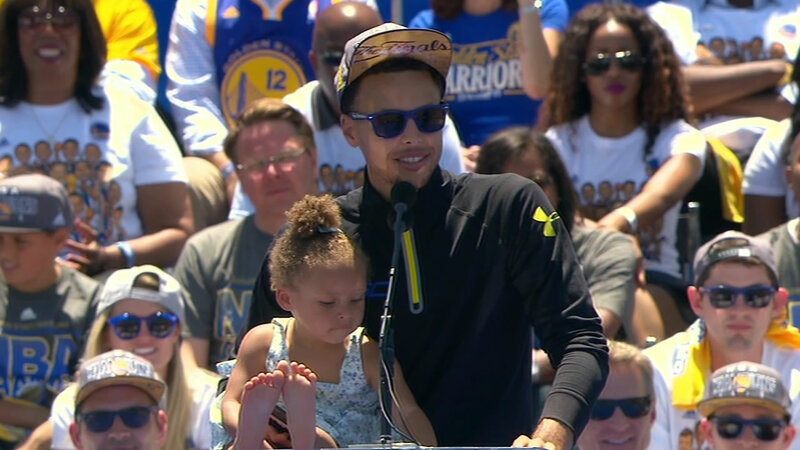 Riley Curry is no stranger to stealing the show from her dad, NBA champ Stephen Curry. So when the day's already all about her -- on her birthday -- she was of course as charismatic as ever. The toddler became an Internet celebrity during the NBA playoffs, when she took the reigns during the post-game press conference following Game 1 of the finals. She was adorably restless as dad tried to field questions, waving to the audience and crawling under the table. Tap to watch if on News app. The 3-year-old's latest performance got more than 200,000 likes on Instagram in less than a day.